It’s hard to believe it’s been 30 years since Salt-N-Pepa first hit the Billboard music charts. The powerhouse trio pumped out hit after hit in the ’90s. We still love to groove out to their classic music today. 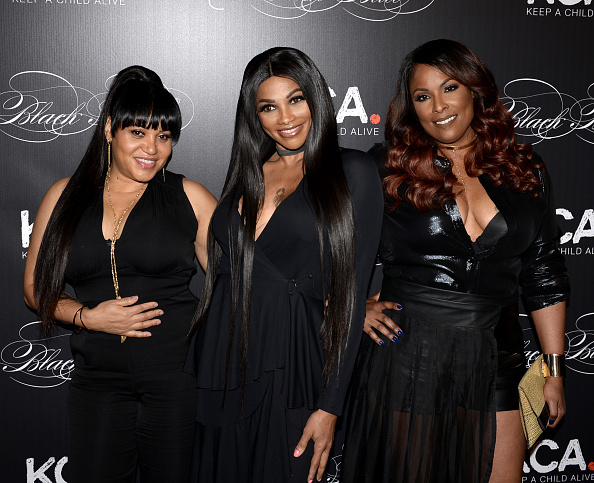 And in a recent interview, Salt-N-Pepa said they’ve been working on new music. Of course we want to hear a whole new album from these ladies, like, yesterday. But this is already lucky news – so we don’t want to ah, push it. While speaking with Billboard.com’s Pop Shop Podcast, two thirds of the badass women of Salt-N-Pepa, Sandra “Pepa” Denton and Dee Dee “DJ Spinderella” Roper, confirmed that they’ve been spending some time in the studio. "Yeah, we’re going in the studio," Pepa said. "We have a couple songs already we've recorded." They’ve stayed plenty busy since they first became musical superstars. Most recently, they’ve been headlining the I love the ’90s tour along with Vanilla Ice and Naughty By Nature. And after their hit song “Shoop” was featured in the insanely popular movie Deadpool, Salt-N-Pepa jumped back onto the pop charts. But DJ Spinderella made it clear that fans are going to have to wait. The group is happy there’s ongoing demand for new music. And they know they can create instant classics. So they have no interest in stopping anytime soon. "We’re just not going anywhere. Our songs are here to stay," Pepa added. We don’t yet have details on when we can expect to hear more about this new music. But it’s certainly exciting to know that it’s in the works. Until then, all we can say is what a band, what a band, what a band, what a mighty good band.